Smoking is surprisingly common in Austria with just under a quarter of adults smoking daily. This leads to exasperated headshaking among doctors, and to a shrug (and a wave of a cigarette, presumably) from many politicians. So does the unusual popularity of smoking mean you can smoke freely in Vienna? Does it mean you’ll often be exposed to smoke on your trip? I’m a non-smoker, don’t like smoke, and never encounter any real problems anywhere. But don’t be surprised if someone at the bus stop or sitting outside a coffee house is puffing on a cigarette. Smoking is generally not allowed in the usual places, namely schools, workplaces, airports, museums, hospitals, shopping malls, stores, inside public buildings, theatres, cinemas, petrol stations, etc. with some rare exceptions (like dedicated smoking rooms in an office complex). Smoking is not permitted inside trains, trams, buses and other forms of public transport (such as taxis). It is banned in all subway stations in Vienna. A similar ban is in place for train stations, though there may (or may not) be designated smoking areas on the actual platforms: the main station (Wien Hauptbahnhof) has, for example, banned smoking completely. It is also illegal to smoke in a private vehicle when any occupant is under the age of 18. What about bars, restaurants, etc.? Ah. This is a bit of a controversial topic in Austria. Without going into the details, the current status is that bars and restaurants must provide a separate, non-smoking area for guests. This area must also be the “main” room. The obligation does not extend to very small locations. 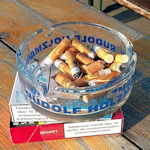 There have been efforts to get a general smoking ban implemented, as in many other countries. The legislation was even in place to do just that. Then a new government came in and decided to rescind the planned law and maintain the status quo. So what does this mean for visitors? If you wish to eat or drink in a smoke-free environment indoors, you can. All but the smallest locations will have a decent-sized area for non-smokers, physically separate from the smoking area. Many locations have even voluntarily moved to all non-smoking. You may, however, find the occasional place where there is no non-smoking area (I doubt anywhere expecting visitors from abroad would do this). Or some bars or restaurants where you may need to pass through the “smoking allowed” area to go to the toilet, for example. If you wish to smoke while eating or drinking indoors, you can. You just have to find a location that is not all non-smoking, or find a smaller cafe/bar that allows smoking anywhere. The legal age for smoking is effectively 18 in Vienna at the time of writing. If you want to know the precise ins and outs of the law around this, there’s a page in German here. Cigarettes are only available from tobacconists. There are cigarette vending machines, but they require a Bankomatkarte (bank card) to operate them. I’m not sure that non-Austrian bank cards work (but haven’t tried to be honest).